Does Your Brother Machine Need A Service? 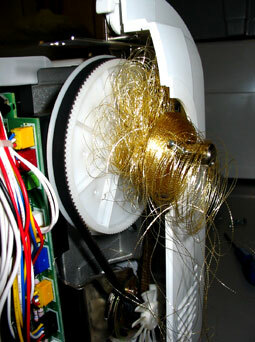 If your Machine is over two years old and it hasn´t been serviced we highly recommend you consider the benefits of halting any long term damage through thread and fabric dust and the effects of central heating on lubricants. Like your car, good maintenance keeps you on the road. Keith Lord specialises in the service and repair of Brother machines and has in-depth experience and knowledge to obtain the best performance from your machine. He also has a large range of spare parts on hand for efficient turn-around times. Prices for servicing vary on the complexity and size of machine and are very competitive. Parts are only replaced if necessary. Please call with your model number for a price guide. Tension units become clogged and affect the quality of stitch, frequency of threads wraps, needle breakages and associated issues. 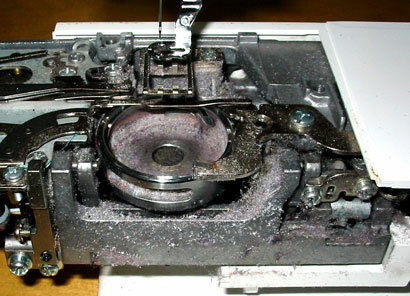 Gears in the machine dry out creating little black spots on your fabric. This leads to wearing-out of the parts which can lead to costly repairs. You will be amazed where we remove thread from - and the amount can be staggering too. 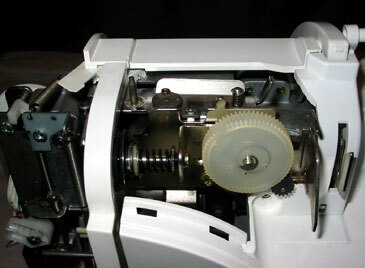 Thread cutter mechanisms are a magnet for trimmed-off remnants. 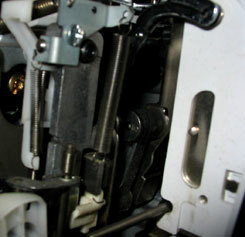 Sensors for the bobbin can become concealed stopping them from working. Inner Rotary Hooks become clogged, scratched and even stitched through! Bobbin tension is not what it should be and threads catch on rough areas. REPAIR AND SERVICE: Our workshop facility is set up exclusively for BROTHER machines.